I continue to follow the IMDB list of 50 best movies of 2018, and I invite to check my review of Halloween film that I wrote some time ago. Today my focus is on ANNIHILATION. 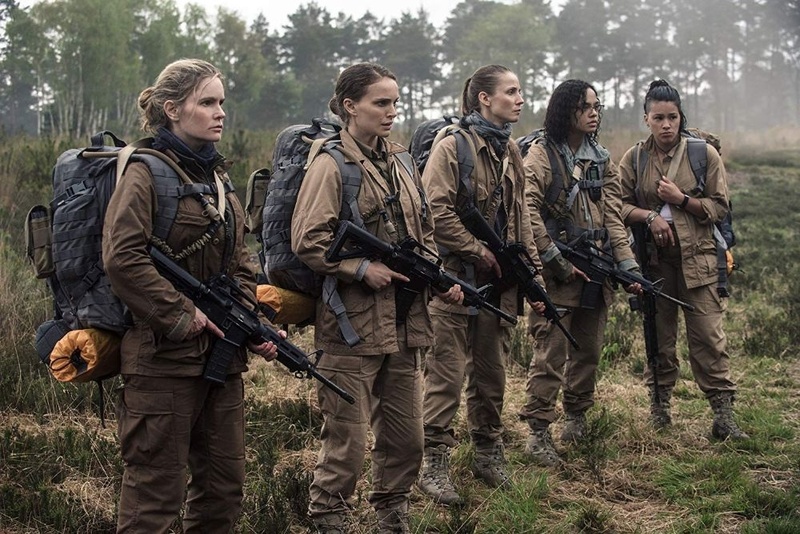 ANNIHILATION is the second work of Alex Garland, the director of the world-famous Ex Machina film, about a secret biology expedition to an isolated area where not everything works according to the laws of nature. The film combines elements of drama, horror, and fiction, moving the viewer into an environment without rational explanations. This film shocked the audience so much that they were afraid to show it in cinemas. Or at least they say that. ANNIHILATION originally should be released into wide distribution. But on the test screenings, viewers did not understand anything; they were shocked by the finale and are unhappy with the behavior of the heroine. Science fiction taken to a weird core of horror. Insanely weird and visually stunning. The studio decided that the movie is too abstruse and not for everyone, and insisted on re-filming. Director Alex Garland persisted and managed to keep his original vision. But for this ANNIHILATION went to a limited rental, and then into exile on Netflix. Such is the difficult fate of this film. It is amazing to read about these backstage passions now when the film is already released. Because there was nothing so shocking and abstruse in ANNIHILATION. It looks like the viewers have lost the interest of slow, atmospheric cinema. By the way, the film is based on the novel by Jeff VanderMeer. And this is a rare case when we can say that the film adaptation is better than the original source. In the old lighthouse standing on the coast, a meteorite falls. After that, the terrain and living organisms near the lighthouse begin to change - an anomalous zone appeared there, which got a name Flicker. The zone is gradually spreading. Expeditions sent to it do not return; communication does not work there. The husband of biologist Lena (Natalie Portman) is the only one who has returned from the Zone, but without memory and with the gravest disease. To understand how to save her husband, Lena joins the new suicide expedition. Biologist Lena, psychologist Ventress, physicist Josie, geologist Cass, and paramedic Anya go to the next expedition. They should definitely get to the center of the zone - the lighthouse. And hurry, because the boundaries of the Zone are gradually expanding. A group of women scientists of various specialties should find out what happened to the military and what this anomaly is. But what they see not only contradicts all the laws of nature but also forces them to reconsider their views on human life. 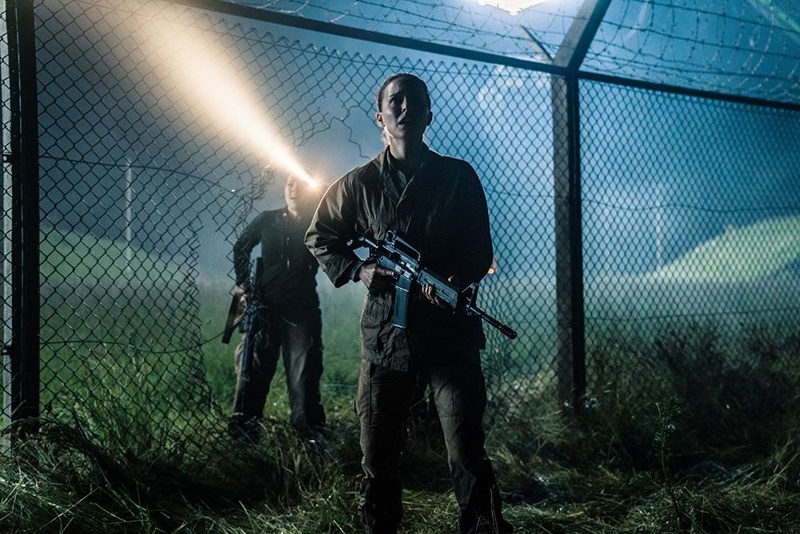 In fact, a movie like ANNIHILATION, we have seen more than once. I know the majority, after reading the description of the plot, immediately exclaimed: Stalker! The outline and partly the entourage are really very similar - the zone, anomalies, abandoned buildings, a handful of researchers. But this similarity is only external. Do not expect that the five heroines will imposingly walk among beautiful ruins, talking about God and fate. The farther into the Zone, the more ANNIHILATION resembles another classic of science fiction - The Thing by John Carpenter. Yes, Alex Garland, in fact, took a fantastic horror film, where people turn into hell knows what, hell knows what turns into people and nobody can be trusted. The heroines suspect each other and go crazy, stumble upon evidence that both previous expeditions covered either insanity or infection. There we see the hand of Alex Garland, in films of which someone will surely lose his mind. And the finale, which the audience allegedly did not understand, is in fact not so incomprehensible or shocking. It is akin to the finale of The Thing: unsaid, leaving room for interpretation. Simply, unlike Carpenter, Garland did not focus on horror and doom, but on surrealism. I will not spoil, let me just say that at the ending the heroes will find something impressive in the center of the Zone. In the finale, we can see the most impressive special effects. ANNIHILATION leaves a lot of questions and understatement, and this was probably done intentionally. The strange and insane world amazes with greenery and a combination of bright plants, animals, and sometimes completely unnatural hybrids of those and others. In this world, the usual human rules are not powerful, the instruments do not work, and even the memory itself can be faltering. And it is here that the true undertones of the picture appear. Mutation of the plant is perceived as the norm and evolution, especially in the framework of the landscape, and especially the whole planet. But for the human body, this would be disastrous. Alex Garland shows the development of cancer through the evolution of flora and fauna, clearly explaining that cancer is not evil in itself; it is only an anomaly in the body that begins to rebuild surrounding cells for itself. The theme is straightforward enough, but not stupid, allowing the viewer to think of the ideas himself. Definitely to determine the genre of the picture is difficult. It has drama, fantasy, thriller, horrors - a bit of everything in very balanced proportions. And science fiction here is not too abstruse, in some places it is transformed into its lightweight version - fantasy, but without magical excuses for any nonsense that occurs on the screen. Horrors are not devoid of naturalism but do not cause disgust. The action develops slowly, but never slips, does not lead the viewer from the main storyline to nowhere. From the mouths of the characters sound not only easy expressions but also serious terms, the meaning of which I would like to immediately clarify. Is it not a job for gray matter weakened by the inactivity? There is almost no action, fussiness, and running around. Despite that all the characters roam with guns, they use them so rarely that lovers of non-stop action cannot even worry - the movie was not made for them. The ANNIHILATION is a slow, somnambulistic walk through an amazing place. These are attempts to get closer to the secret and solve it. I should talk about graphics and general, special effects separately: if desired, they can be assessed as ingenious or as failures. Because, on the one hand, the graphics are very noticeable and seem to be inexpensive. Models look slightly unnatural like toys; explosions and fire look unnaturally bright. And what the main character faces in the finale, generally, at first resembles a beautiful, but clearly drawn, screen saver. On the other hand, the world of ANNIHILATION itself is full of great detail and inventive. All these people plants, people who have grown into a wall and blossomed out with flowers, rotted bears and surrealistic hell-knows who in the finale are impressive, memorable. And is it a misfortune, if technically they look a bit artificial? In old films, monsters were generally made of rubber and plastic, and this did not prevent them from being taken seriously and even fearful. Artists, among whom - Garland's constant partner Mark Digby, tried their best. It is a pity that this beauty cannot be seen on the big screen. Still, Garland and the company should have considered that the material is not massive, and immediately aim at the mini-series. Because ANNIHILATION needs not a big screen, but more timekeeping. One feels that the story is crowded in two hours as if it does not have enough time to show both the world and the main characters at the same time. 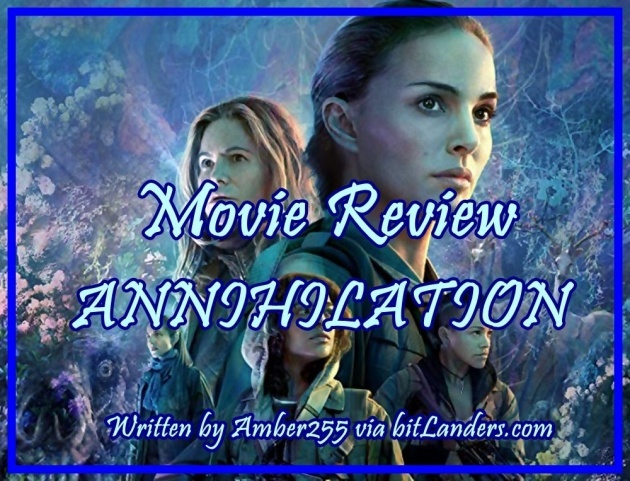 From an aesthetic point of view, with ANNIHILATION is also all right. Each frame is built with great taste, in a restrained, but very expressive manner. My big praises to the film artist and operator. Their games with light and color, compositional solutions are simply flawless. The special effects seem to be at a minimum, and they are all in place. It is clear that almost everywhere there is computer graphics, but it does not hurt the eyes but creates a translucent atmosphere of eerie beauty and mystery. Immediately it becomes clear that this enchanted forest carries a lot of dangers. The film features such megastars as Natalie Portman, Oscar Isaac, and Benedict Wong. 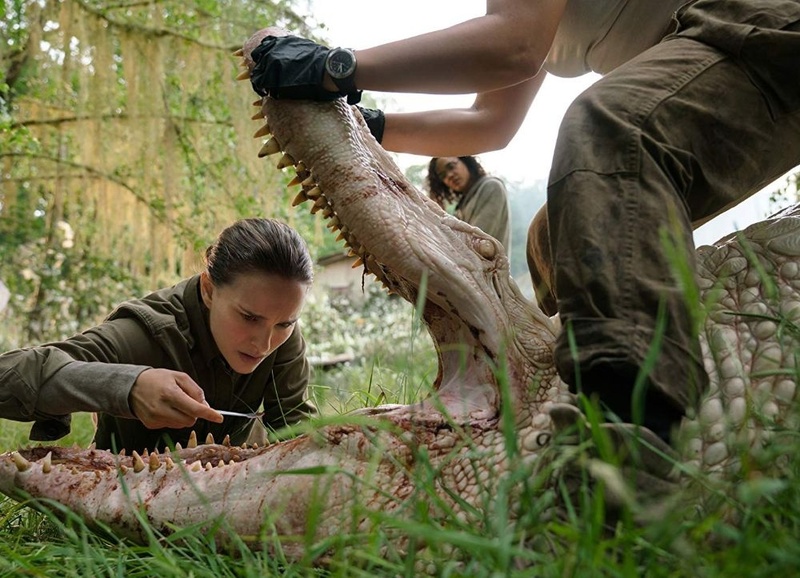 The ANNIHILATION got excellent actresses - and Natalie Portman, in the leading role, is not even the most interesting. More memorable are heroines Jennifer Jason Lee and Gina Rodriguez - cynical, disappointed in the life scientist and lush lesbian, always conflicting with the rest. Portman’s high-tension acting, her inability to relax, suits the material down to the ground. It’s one of her best performances, moving through credible grief and bewilderment, but facing up bullishly to her fears by the end, and finding some kind of exhausted resolve to interrogate them. By the way, the purely female composition of the expedition is served rather routinely, without any feminist slogans. It’s just that in previous times the soldiers were sent to the Zone, and this time they decided to send scientists - and it just so happened that it was the women who got close. And not just women, but unhappy, ones running either from the past or present. The heroine Portman here is almost the only one who has something to live for. The heroines got prescribed individuality; the actresses have the material to work with, but there is no screen time for them to develop. Only the character will begin to unfold and become interesting - he is not shown anymore, goes around the corner and disappears, and we can only guess by hints what happened next. They are strong women, women scientists, women soldiers, self-confident, smart, intelligently acting in dangerous situations. Here you can argue a little about the naturalness of the characters. If the images of Portman and Jason Lee do not raise doubts, then Tessa Thompson in the image of a physicist-nerd replays a little. But all the desire to find flaws disappears after they are inside the anomalous zone. On the one hand, they have to deal with incomprehensible creepy monsters that live in the most creepy basements, and in the beautiful forests. On the other hand, come to understand your own fears and desires. But in the end, perhaps, to rethink your whole life, get rid of the past, or plunge into it with the head. And even decide whether they want to return to their normal existence. The zone in this case already appears as something cleansing from all that is superfluous, from all the everydayness, which does not allow a person to look into himself and understand what is more important for him. In addition, it is impossible not to note the rare and interesting look at contact with aliens. ANNIHILATION makes you think that they may not be rational at all, not have any goals and desires. They just change the world and copy themselves. Like nature itself, like cells, including cancer cells. Do you know what a really good movie is? This is when you wait for it, form high expectations, and impracticable requirements in advance, then watch it, and the movie fully meets these requirements. ANNIHILATION was for me one of the most anticipated films of last year. Bottom line: a beautiful and atmospheric fantasy horror film with a claim to unusual. Not as smart as we imagined - too much of it raises not at all philosophical questions. And not so much original but continuing good traditions. 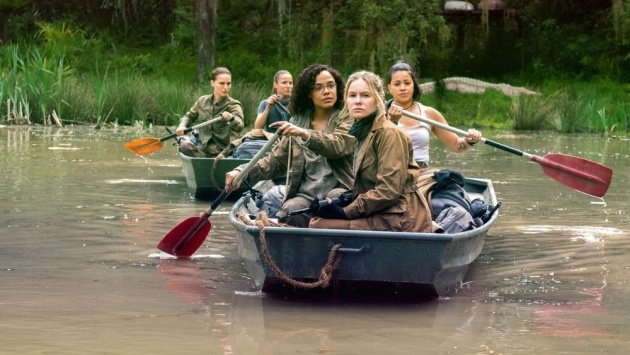 But most importantly, in addition to all the subtext and parables, ANNIHILATION is just fun to watch. Here are bright characters who you believe and for which you worry. 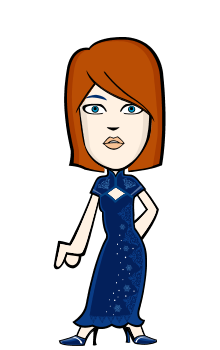 Here is a holistic story with good flashbacks and small hints at the beginning, which are important in the end. Sometimes it is very beautiful: scenes with people-plants, and indeed nature in the iridescent light refraction. And sometimes the film seems incredibly scary. And here it is even difficult to choose what will scare more: one of the most unexpected and creepy monsters or a protracted, almost choreographic scene with Natalie Portman, explaining the essence of the anomaly without words. And the finale will be able to surprise even those who are well acquainted with the book. The director has greatly improved it. In general, Alex Garland once again demonstrated the highest level of direction and proved that the success of Ex Machina was not an accidental coincidence. And if you love the old, pure fiction, then you just have to watch ANNIHILATION. This film really deserves attention and spectators' love - it is very difficult to find any flaws in it. Dr Ventress : Then, as a psychologist, I think you're confusing suicide with self-destruction. Almost none of us commit suicide, and almost all of us self-destruct. In some way, in some part of our lives. We drink, or we smoke, we destabilize the good job... and a happy marriage.- Quote from the ANNIHILATION.